We’re here to help with your Huawei customer service request. 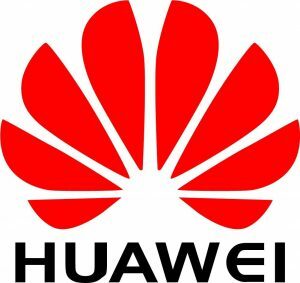 Our certified repairs are performed by Huawei repair experts who use genuine parts. And only certified services are backed by the manufacturer with 3 month warranty. Start your repair request now or scroll to learn more about the repair options. Huawei has launched some of the most phenomenal flagship smartphones in the year 2017. These including Huawei Honor 9 and Huawei Mate 10, amongst many others. The news of Huawei P10 and P10 Plus was revealed in Barcelona in February 2018, where the company announced the release of these twin smartphones. They were anticipated to be similar to their predecessors, but a better version of them of course! The highlight of these phones is the fingerprint scanner on the front, below the screen, but not on the back as the previous P series. However, these phones came with a pretty large share of issues like others. Some of them are the typical smartphone issues while you might need to consult a professional to address other issues. What can our Huawei Service Centre UK fix? The Huawei Honor 9 owners have been facing an issue with adding their Google account, and the news has been making rounds since then. The P9 users have claimed that all the Google apps fail to launch and become unresponsive. We at Huawei Service Center UK have figured out a potential solution to this bug. Try us. You won’t be disappointed by our services. Some Huawei Honor 9 users use Android pay. They receive the error of “unsupported card” on their NFC reader’s screen. In some cases, the users have claimed that their NFC reader doesn’t even get detected by the phone. Our tech experts at Huawei Service Centre UK can fix this issue quickly for you. If you are a Huawei smartphone owner, then you might have experienced the issue of no apps notifications coming over your phone. This can be pretty troubling. Having a brick smartphone can be devastating! This is the problem that has been reported by various Huawei users who have complained about the phone becoming unresponsive completely. The typical smartphone problem of overheating and battery drain is present in Huawei Mate 10 and Huawei Honor 9 as well. Although many users claimed its battery to be working properly some of the users have reported battery drains even with minimal usage. Therefore, Huawei Service UK awaits to facilitate you with its smart solutions that can ease up all your troubles. Try our services today and find a collection point near by.